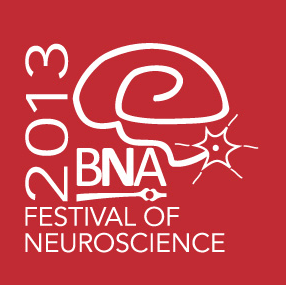 Between 7th-10th April 2013, neuroscientists from across the globe met in London for the British Neuroscience Association’s ‘Festival of Neuroscience’. Here is my whistle-stop tour of the main talking points. Instigated by the divisive Professor David Nutt, delegates heard about research into cognitive enhancing drugs. Professor Judy Illes suggested these drugs should be labelled ‘neuro-enablers’ not ‘neuro-enhancers’ to focus on their role in improving cognition in those affected by diseases such as Down’s syndrome. Topics debated included: Should we criminalise use in healthy people? ; Should we allow their use in exams, job interviews etc.? ; Should we allow them only if declaration of use were compulsory? ; Would this lead to two-tiered exams – users and non-users? Dr Paul Howard-Jones spoke of ‘neuromyths’ in education. He highlighted the oft-cited theory that children all have their own learning style (visual, kinaesthetic, auditory etc.) as having no scientific basis. ‘Neuromyths’ are routine in the field of education, he said. Professor Emeritus Nicholas Mackintosh described findings in the Royal Society’s report into neuroscience and the law. Bottom-line is that there is very little evidence thus far to suggest one can use brain scans successfully in a court of law. Only once has neuroscience been used successfully in court. Professor Irene Tracey gave a fantastic plenary talk on imaging pain in the brain. She gave wonderful insights into how the placebo effect is very real and can be seen in the brain. A placebo can hijack the same systems of the brain that (some) painkillers act on. This could have strong implications for the experimental painkiller vs. placebo set-up of randomised controlled trials. Professor Ed Bullmore spoke about the connectivity of the brain. He described the intricate connections of the brain and how some regions are highly connected whilst others have only sparse connections. He noted that in a coma, highly connected regions lose connectivity and sparsely connected regions gain connectivity. This goes nicely with the work by Giulio Tononi into theories of consciousness. Professor Yves Agid entertained with his animated talk on subconsciousness. He argued that the basal ganglia are crucial for subconscious behaviours. He showed that the basal ganglia become dysfunctional in diseases such as Tourette’s syndrome and Parkinson’s disease – both of which involve defective subconsciousness. Professor David Attwell told a wonderful story about glia, the support cells of the brain. Glia are often forgotten about when talking about functions of the brain, but Prof Attwell described fantastic research condemning this. Glia are involved in brain activity, both in health and disease. Glia are involved in regulating the speed of nerve cell communication. Glia may also be involved in learning and memory. Professor Anders Björklund gave a public lecture on his life’s work into stem cell therapy to treat Parkinson’s disease. He showed some wonderful results that have really made a difference to patients’ lives. This therapy shows good improvement in ~40% of cases. Work continues into why it does not work in all cases. To follow what else was said during the conference, see #BNAneurofest. Re Dr Howard Jones’ synopsis on this page – do these neuromyths compromise the theories of Howard Gardner on dimensions of IQ and learning?